I also was really disappointed when I discovered that O’Soy wasn’t vegan because it’s tasty… but it gave me pimples… I HATE YOU, DAIRY!!! 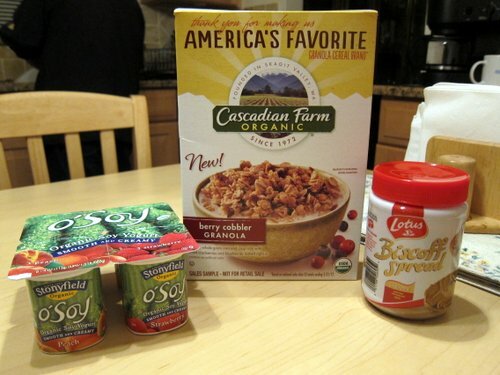 Cascadian makes pretty good granola. I’ve been loving Pure Market Express’ granola lately. NOM!